For yet another year, Rezzed took over London's Tobacco Docks and stuffed it to the gills with indie games and titles from smaller publishers. There felt like a nearly impossible amount of games there, and it seemed as if most of them had something interesting to say or a fun aspect to write about. So, now I face the tough choice of separating the wheat from the chaff. Except, it's not chaff, it's more wheat. I now face the task of separating the best wheat from some other quite good wheat. If Pokémon, Harvest Moon, and Animal Crossing had a three-way baby*, it'd be Ooblets. 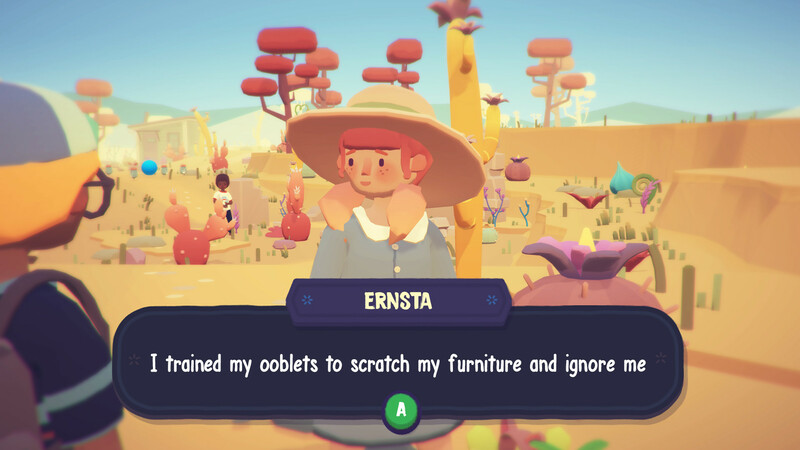 Ooblets is the most adorable game I've ever seen and has you managing a farm, growing and training Ooblets, running a shop, and battering other Ooblet trainers. This will hook in anyone that's fallen in love with any of those ménage à trois games or the recent hit Stardew Valley, and below the cutesy top-layer there's a ton of depth that wasn't really available to poke through at Rezzed. Regardless, this was the only game at the event that let me take a mushroom with sunglasses and make him fight for my amusement. Then I scared off my enemy and planted a seed of them in my farm to grow a new creature to fight on my side. The Sinking City is a bold move for Frogwares, best known for its work with the Sherlock Holmes adventure games. 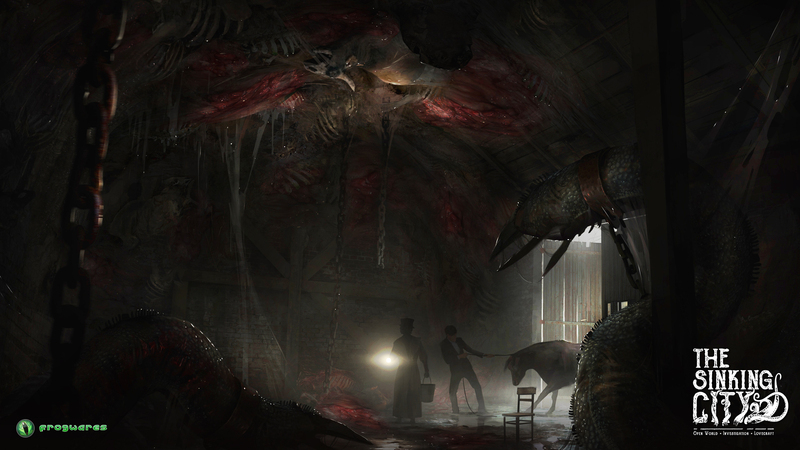 It's all change with The Sinking City, a survival-horror title with over-the-shoulder shooting and more eldritch beasties than you can shake a Necronomicon at. I'm always a bit meh when it comes to Lovecraftian horror on a screen, because a large part of the reason it works so well in written text is because the horrors are unimaginable and unknowable. Often, merely discovering the existence of the threat is enough to drive a protagonist mad, but making a visual representation of it makes it vividly imaginable and very knowable. Still, Frogwares' skill at crafting investigations could provide a unique experience, and its talent when it comes to creating memorable characters and an uncertain world should make it of particular interest to those who like their villains great and old. 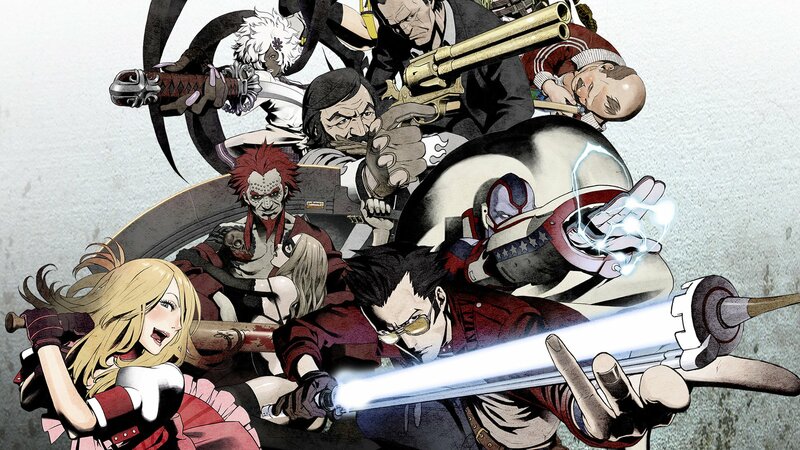 Travis Touchdown is back in Suda 51's latest madcap game, an usual sequel to the cult No More Heroes series. Touchdown has been sucked into the Death Drive games console, which appeared in Suda's recent hack-'n'-slash Let it Die and now has to brawl through mini games in seven different genres. At Rezzed, only the top-down action level was playable, which featured co-op and the chance to engage in some well put together combat sections. In the full game, there will also be segments featuring puzzles, driving, and more. It's almost certain to be one of the more bizarre games on the Nintendo Switch, but the Switch-exclusive is looking like a curio that's worth picking up for owners of the console. A new tactical strategy game blending XCOM and X-Com from the original creator of the 90s X-Com, Julian Gollop? What's not to like? X-Com was a weirder beast than Firaxis' razor-sharp reboot, and the idea that one of the key minds behind that is taking another run at his most enduring concept is incredible. There's no word on whether flat-top haircuts are returning, but the core idea - a desperate fight against an invading alien menace - is all present and correct. It seems to take a lot of ideas from the reboot too, at first glance, although it seems this is an altogether weirder experience with deeper strategy and much more customisation. I expect it will eat my life; hopefully with this warning some of you can escape the same fate. 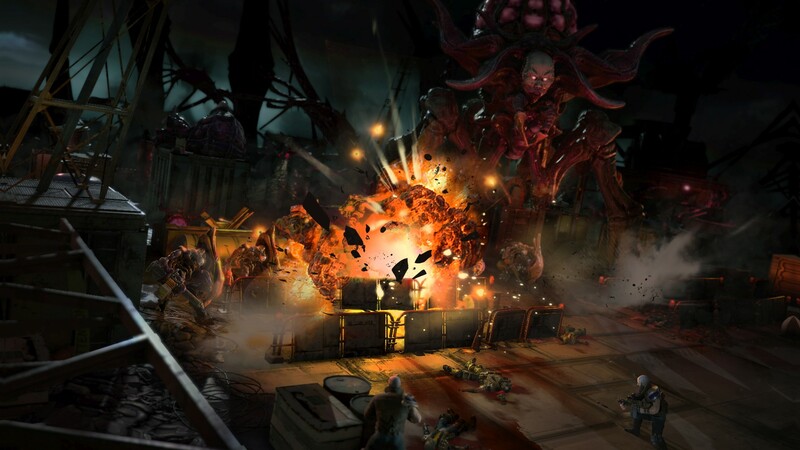 Phoenix Point is already a success after a crowdfunding campaign that did very well indeed. However, the vertical slice that was at Rezzed has a certain magic quality that could well see it pick up several more fans when it comes out at the end of the year. 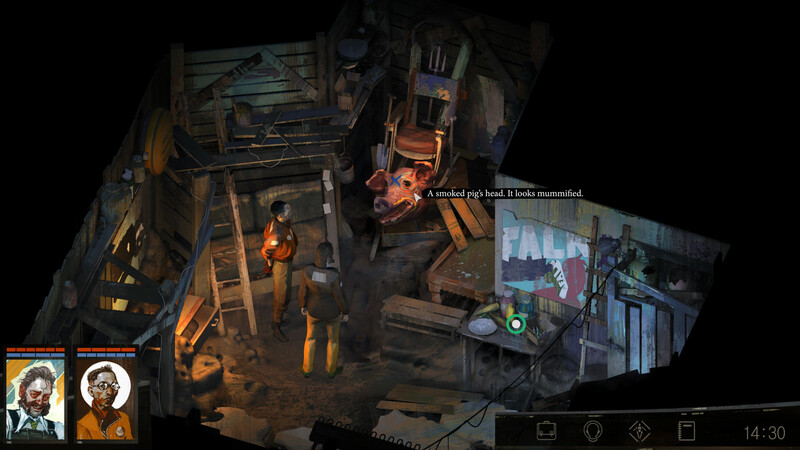 Previously known as No Truce with the Furies, Disco Elysium is a CRPG with a twist: It's a sci-fi detective story, and it starts with an argument between you, as a player, and the lead character's brain. Combat here is sparse, with action instead involving talking to witnesses, picking up clues, and exploring grim environments to try and get to the bottom of a murder mystery. It's getting a lot of attention, both for the grim tone and the pitch black humour running through it - but in a post-Divinity 2 world it's incredibly exciting to see the genre keep moving in new and interesting directions. This isn't going to be a whole lot like the recent spate of CRPGs that have been appearing like diamonds in mud, but that doesn't mean this won't shine just as brightly. 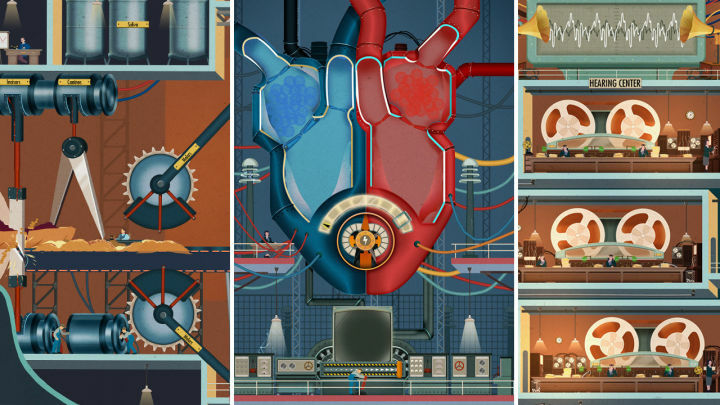 This tablet game turns the human body into a factory filled with people in lab coats and big analogue contraptions. Players fondle, tap, and slide to perform basic actions like sniffing out breakfast. It apparently takes inspiration from a book, 'Man as Industrial Palace', published in 1926 by Fritz Kahn, which gives it a really unique look and will be core to its appeal.